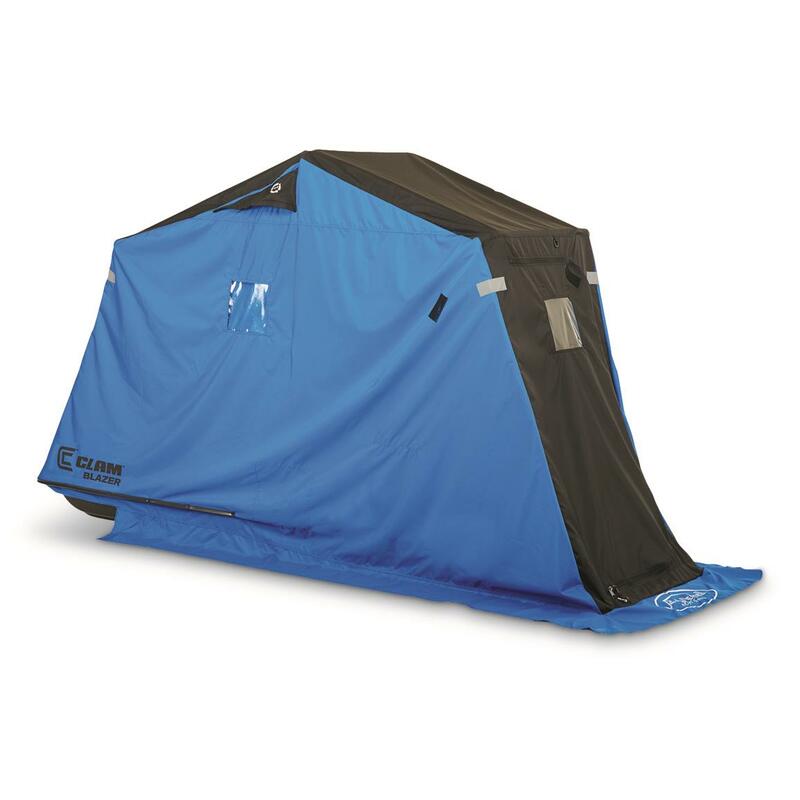 Beginners and ice heads alike, can get a better start on catching fish with a ClamTM Blazer Ice Fishing Shelter. Designed by Clam and Ice Team Pro, Jason Mitchell, it's built to move easily, set-up quickly and work dependably. There's plenty of room in the sled for the gear you need and 12 sq. ft. of fishable space when fully enclosed. 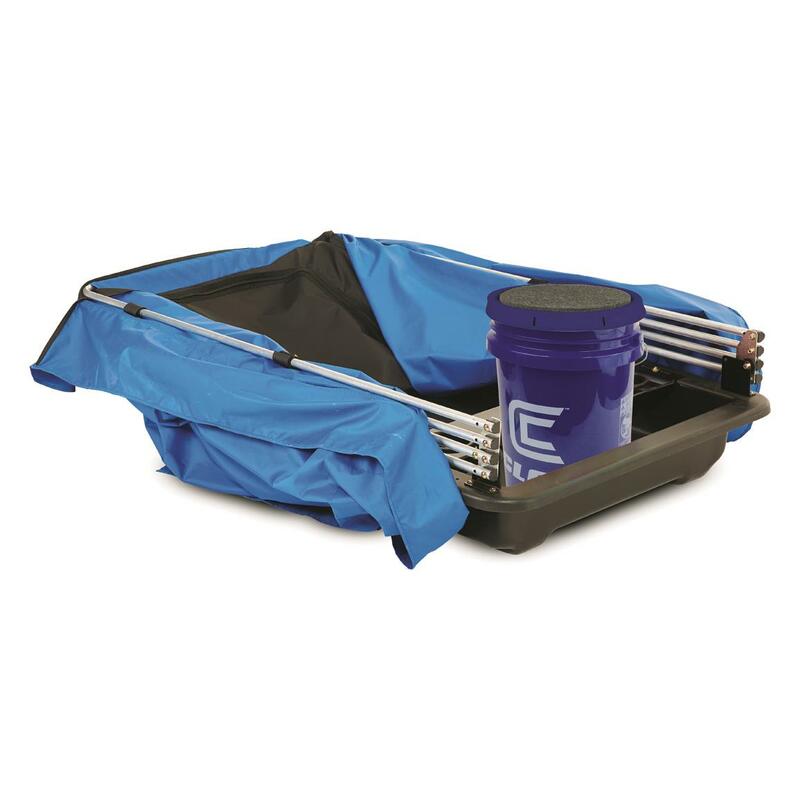 The flip-n-go aluminum poles are hearty without being heavy and the ingenious Bucket Bracket has a cutout area designed to hold a 5-gallon fishing pail perfectly in place. Set-Up Size: 115" x 36"
Pack Size: 15" x 36" x 61"
Fishable Area: 12 sq. ft.